If you had to sum up New Zealand in a few words – you'd probably say 1. "The All Blacks", 2. "Spectacular Scenery", 3. "Wine" and 4. "Sheep". Well, we didn't get to see any All Blacks today in Picton, but our stay in the Marlborough Sound gave us the final three in spades. Just sailing into Picton is a wonderful experience in itself, seeing its succession of beautiful bays, little islands ,forested hills and sparkling waters. Then, on land, most people head straight off to the Marlborough region, to see where some of the world's best Sauvignon Blancs are produced. 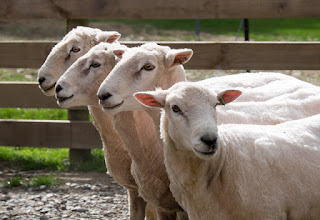 But, on the way to our wine tasting, we paid a fascinating trip to a sheep farm on the edge of the vineyards. Here we were treated to a great show of the skill and intelligence of the sheep dogs in rounding up and controlling the brain-dead sheep. 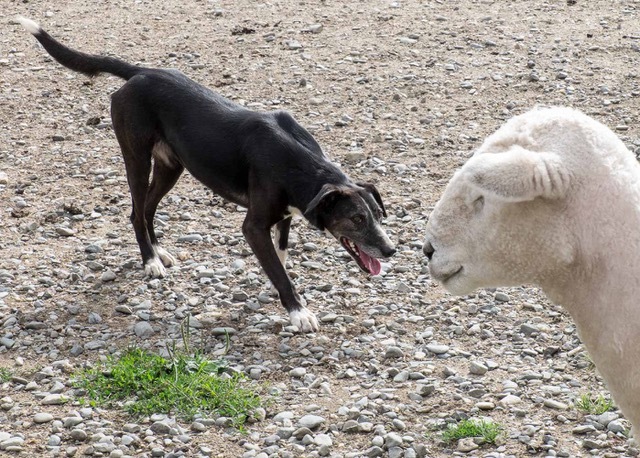 These beautiful dogs were so keen to please the farmer that they really seemed to enjoy the job – absolutely desperate to be given permission to run off after the sheep for him. The way that one man and his dog worked in perfect harmony (with just a few words, whistles and movements as communication) was mesmerising to watch. 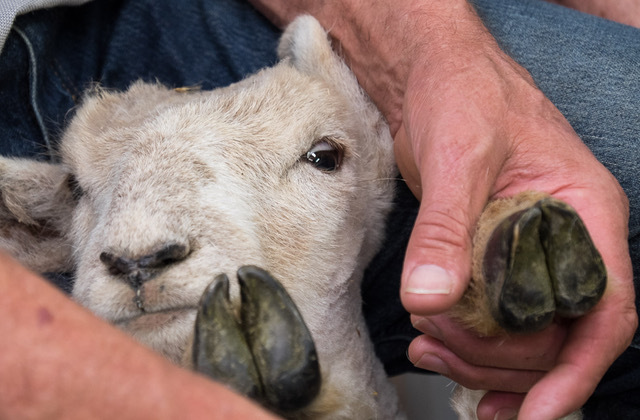 The friendly farmer and his wife gave us a great insight into life on the farm – with such beautiful scenery, super-fresh air, and an outdoors life, it all seemed pretty idyllic – although, we were left in no doubt that it was incredibly hard work. 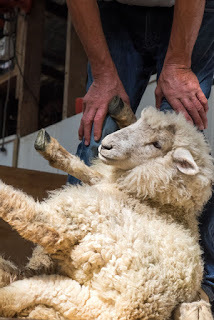 Watching him sheer a sheep with what appeared to be the minimum of effort, was a great example of his strength, his skill, and knowledge of his craft. Sadly, sheep farming is in decline in New Zealand (with numbers dropping from 70 million sheep, to "just" 27 million these days), mainly because the price of wool has plummeted over the last couple of decades; but, with dedicated people like this, you can see that the industry was in safe hands. Watching all this hard work meant that we were developing a bit of a thirst, so where better to satiate it, than at the beautiful Framlingham Winery, where we worked through a tasting of 6 different wines. Of course, the world famous Sauvignon Blanc was pretty good, but the Riesling that we tried was pretty special too. 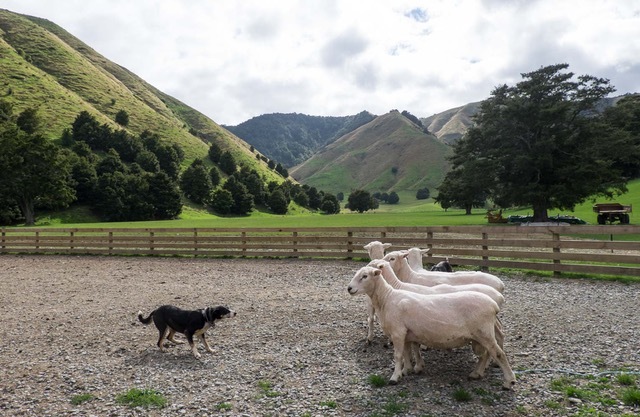 Our first stop in the South Island had shown us New Zealand at its best – superb scenery, fascinating sheep farms, and delicious wines. 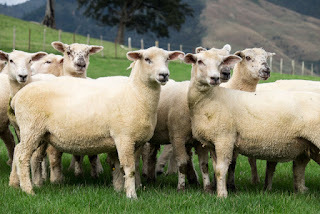 Now, where are those All Blacks…..